Whether you’re a visitor or a born and bred South Carolina native, it’s highly unlikely that you’ll fail to notice the grandiose white homes that stand tall all throughout the state. With the exterior, pillars, and windowpanes all covered in a glistening white color, these homes brighten up the already colorful South Carolina landscape. Our painting company loves this style because it’s classic and because the bright white painting pairs nicely with green grasses and colorful flowers. A fun variation of the classic white style painting job, the white with a twist features a white exterior with a pop of color stemming from the doors, shutters, and the roof. While the options vary quite widely, a somewhat popular style is darker shutters on both sides of the windows which makes for a lovely, but stark, contrast. 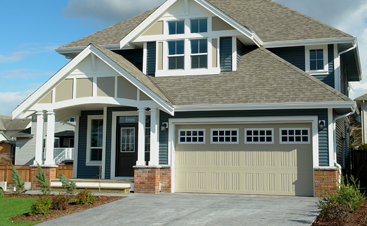 Another one of our favorite looks is the dark shutters paired with a matching door, a style that’s both sleek and classic and stands out at all hours of the day! Another classic South Carolina home look is a mostly brick exterior coupled with white pillars, doors, and shutters. The bricks give the home the old-timey look that never fails to stand out, and the white puts forth a touch of style that ties the whole look together. We like the brick look because of its versatile ability to style with any other color or look. Match the exterior with some bright landscaping and shrubbery for a more woodsy look or clean it up with some stones for a more polished, beachy look. A pastel painting job is what makes the South…the South. You can’t miss the huge, historical homes colored with bright yellows and greens all over the state. The unique pastel colors are a signature style that fit in perfectly in our warm and colorful state. We especially love the pastel exterior painting work because of how simply, yet extraordinarily, the colors work with the landscape. 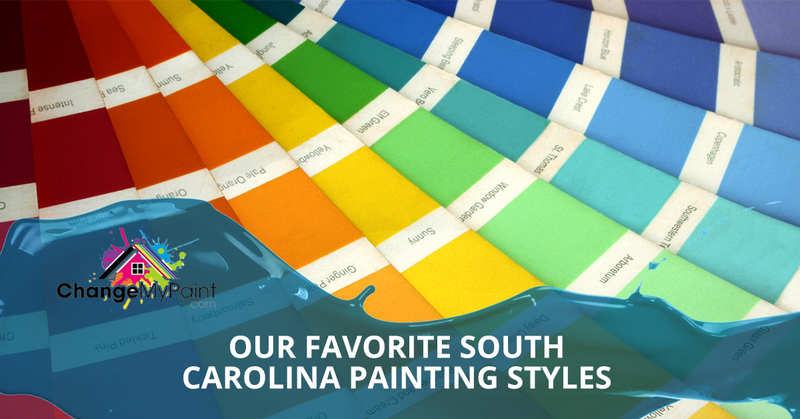 Of course, there are plenty of other South Carolina home painting looks that stand out within the state. These are just a few! 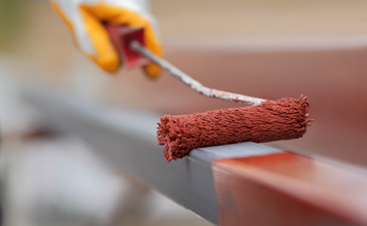 If you’re itching to repaint your home in one of these styles, or just need a new exterior painting contractor to help touch up the colors, give Carolina Painting & Pressure Cleaning Inc. a call today. We’re excited to help bring your painting ideas to life!